Last year, Caltech astronomers Mike Brown and Konstantin Batygin found indirect evidence for the existence of a large planet in the outer reaches of our Solar System — likely located out past Pluto — and since then, the search has been on. The latest research continues to show signs of an unseen planet, the hypothetical Planet 9. Astronomers using the Gran Telescopio CANARIAS (GTC) in the Canary Islands looked at two distant asteroids called Extreme Trans Neptunian Objects’ (ETNOs), and spectroscopic observations show and their present-day orbits could be the result of a past interaction with a large “superearth”-type object orbiting the Sun at a distance between 300 to 600 AU. Researchers say the orbits of asteroids 2004 VN112 and 2013 RF98 suggest that the two were once a binary asteroid which separated after an encounter a large body, with a mass of between 10 and 20 Earth masses. Sequence of images taken with the Gran Telescopio CANARIAS (GTC) to identify one of the ETNO´s studied in this article, 2013 RF98, where one can see how it moves during four consecutive nights. Below, right, visible spectra obtained with the GTC of the two objects 2004 VN112 and 2013 RF98. The red lines show the gradients of the spectra. Credit: Julia de León (IAC). To test their hypothesis, the team performed thousands of simulations to see how the poles of the orbits would separate as time went on. The results of these simulations suggest that a possible Planet 9 could have separated the pair of asteroids around 5 to 10 million years ago. de León said this could explain, in principle, how these two asteroids, starting as a pair orbiting one another, became gradually separated in their orbits after an encounter with a much more massive object at a particular moment in time. 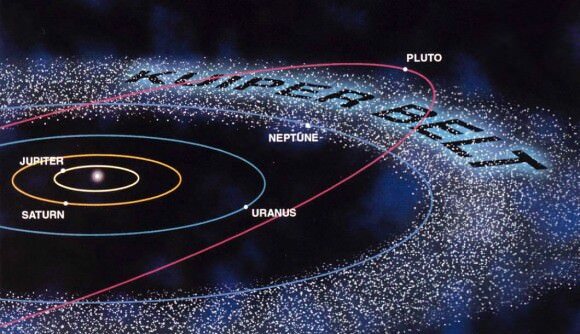 The tale of Planet 9 started in 2014, when astronomers Chad Trujillo and Scott Shepard were studying the motions of large objects in the Kuiper Belt and realized that a large planet in the outer Solar System must be altering orbits of several ETNOs the in Kuiper Belt. Brown and Batygin were looking to verify or refute the research of Trujillo and Shepard, and they painstakingly analyzed the movement of various KBOs. They found that six different objects all seem to follow a very similar elliptical orbit that points back to the same region in space. All the bodies were found to be inclined at a plane of about 30-degrees different from almost everything else in the Solar System. 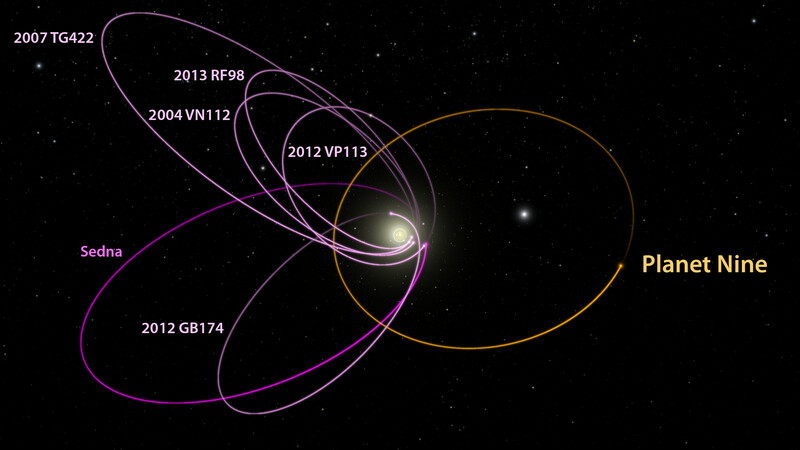 Brown said the odds of these orbits all occurring randomly are about 1 in 100. 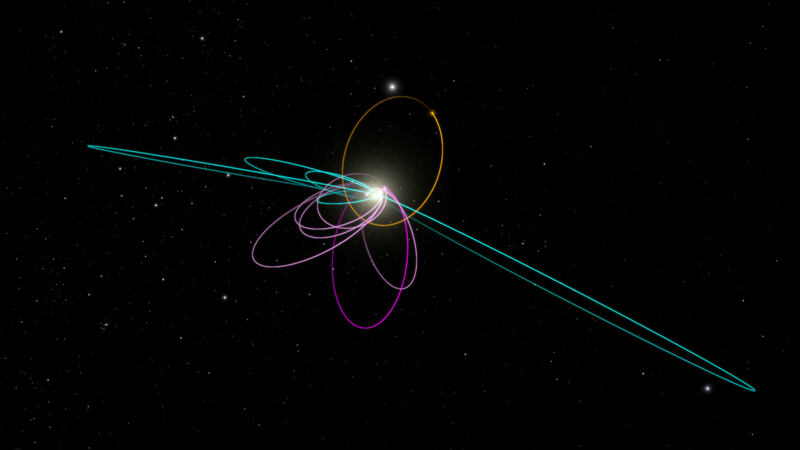 But calculations revealed the orbits could be influenced by a massive planet way out beyond the orbit of Pluto, about 200 times further than the distance from the Sun to the Earth. This planet would be Neptune-sized, roughly 10 times more massive than Earth. It hasn’t been found yet, but the hunt is on by large telescopes around the world, and a new citizen science project allows people around the world to join in the search. The latest findings of by de León and team could help point the way to where Planet 9 might be lurking. Citizen science projects are a great way for anyone to be involved in the scientific process. Average, everyday folks have discovered things like supernovae, previously unseen craters on the Moon and Mars and even new planets orbiting a distant star. Now, you could be part of one of the most exciting quests yet: finding a mysterious, unseen planet in the far reaches of our own solar system. Last year, Caltech astronomers Mike Brown and Konstantin Batygin found indirect evidence for the existence of a large planet, likely located out past Pluto, and since then, the search has been on. But so far, it has come up empty. 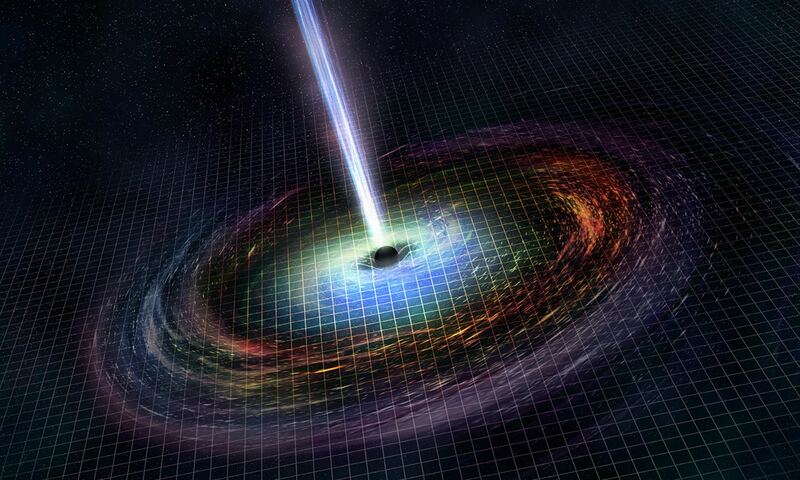 And so, astronomers decided they would bring in a little help: You. 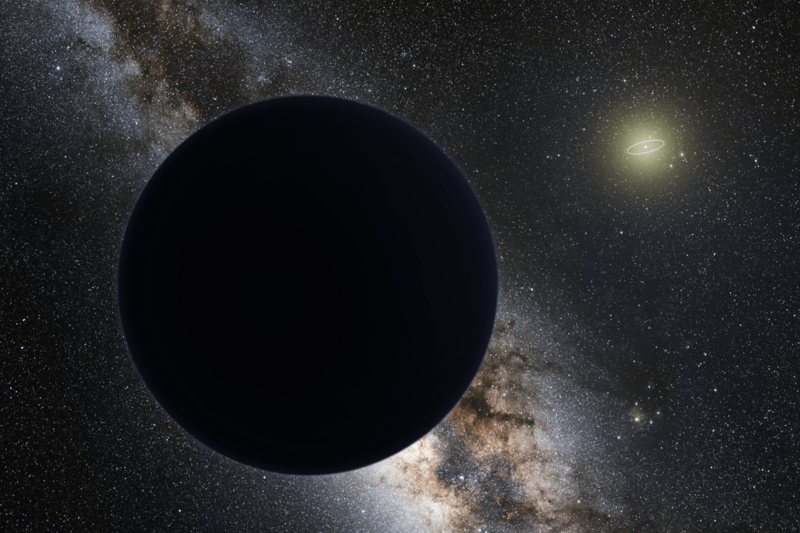 “Backyard Worlds: Planet 9 has the potential to unlock once-in-a-century discoveries, and it’s exciting to think they could be spotted first by a citizen scientist,” said UC Berkeley postdoctoral researcher Aaron Meisner, who is helping to head up this latest citizen science project. People who sign on to the Backyard World: Planet 9 website will be basically using the same type of technique that was used to find the last planet discovered in our solar system, Pluto. Clyde Tombaugh used a special machine that systematically switched images on glass astronomical plates back and forth, looking for any objects in the night sky that ‘moved’ between the images. For Backyard Worlds: Planet 9, users will view brief “flipbook” movies made from images captured by NASA’s Wide-field Infrared Survey Explorer (WISE) mission. A faint spot seen moving through background stars might be a new and distant planet in our solar system. Or it could be a nearby brown dwarf star, which would be another exciting discovery. WISE’s infrared images cover the entire sky about six times over. This has allowed astronomers to search the images for faint, glowing objects that change position over time, which means they are relatively close to Earth. Objects that produce their own faint infrared glow would have to be large, Neptune-size planets or brown dwarfs, which are slightly smaller than stars. WISE images have already turned up hundreds of previously unknown brown dwarfs, including the objects fairly close to us, so astronomers hope that the Backyard Worlds search will turn up a new nearest neighbor to our sun. NASA wants to bring in all the humans it can for this search, because the human eye is much better than computers at seeing changes between images. “Automated searches don’t work well in some regions of the sky, like the plane of the Milky Way galaxy, because there are too many stars, which confuses the search algorithm,” said Meisner. Check out Backyard Worlds: Planet 9 here, and give Universe Today the scoop when you make your big discovery!